You will find fun activities, places that have historical and touristic values and museums of culture and art content in this article. Here are the best places to visit as a family in Istanbul. Here is a list of best things to do in Istanbul for families. Fun activities for kids. Wondera offers fun and comfort at Aqua Florya at the same time and it appeals to both kids and adults who love games. 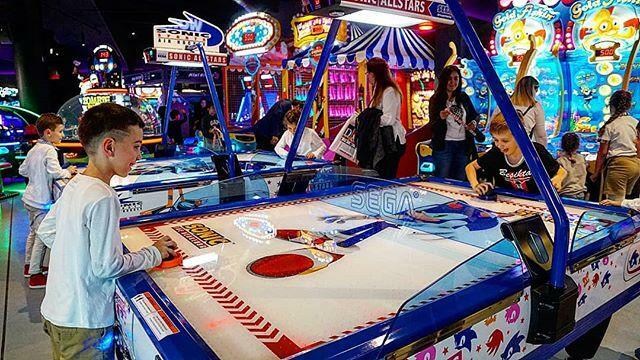 This place offers various games concepts such as Sega games, ice hockey, basketball, racing games etc. One of the most exciting sections of Wondera is VR area. At VR section, visitors have the chance to have a roller coaster ride through virtual reality glasses, which is totally a different physical and virtual experience. Isfanbul (Vialand) Theme Park‘s concept “Fun as a family, fun for the children” is totally reflected as it offers tons of fun activities with your children. Short explorations helping kids discover the world both visually and physically, a mini tower for the kids who are not afraid of heights, a fun farm with its happy chickens, exotic safari tunnel and so many more sections enable kids to spend a different day. There are some other places to visit at Vialand, such as Theme Park that was chosen as “Europe’s Best 8th Theme Park”, a movie complex and a zoo on the base floor of the mall. 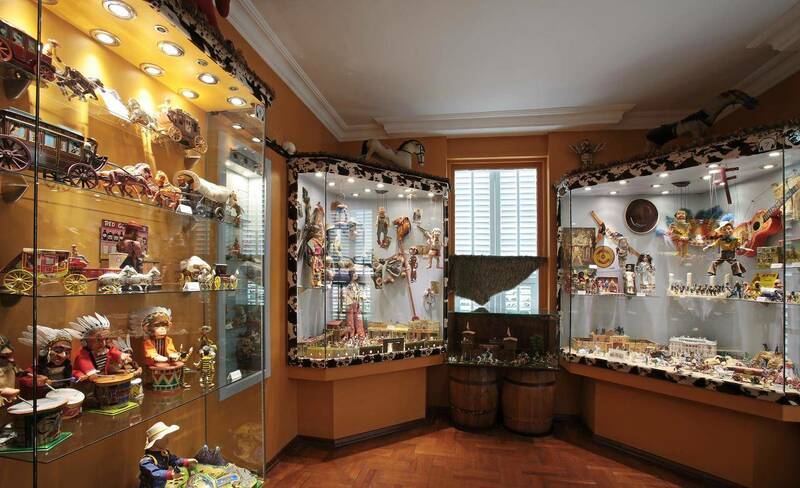 Istanbul Toy Museum was founded in 2005 by an author and poet Sunay Akin and the toys exhibited at the museum dates back to even 1700s. The museum was founded in a mansion on the Asia side and Sunay Akin displays the toys he’s bought from 40 different countries in the last 20 years. There are some thematic sections such as space toys section where the effort to reach the moon is depicted and train toys section where the Industrial Revolution is explained via toys. Three generations of visitors can easily spend a nice time at this museum. Istanbul Toy Museum organized TOYCO-2012 (European Toy Museums Union), the first of its kind in the world, and it became the pioneer of the creation of World Toy Museums Union. Thus, thanks to Istanbul Toy Museum, Istanbul became the capital of toy museums. Istanbul Toy Museum is located in Kadikoy. 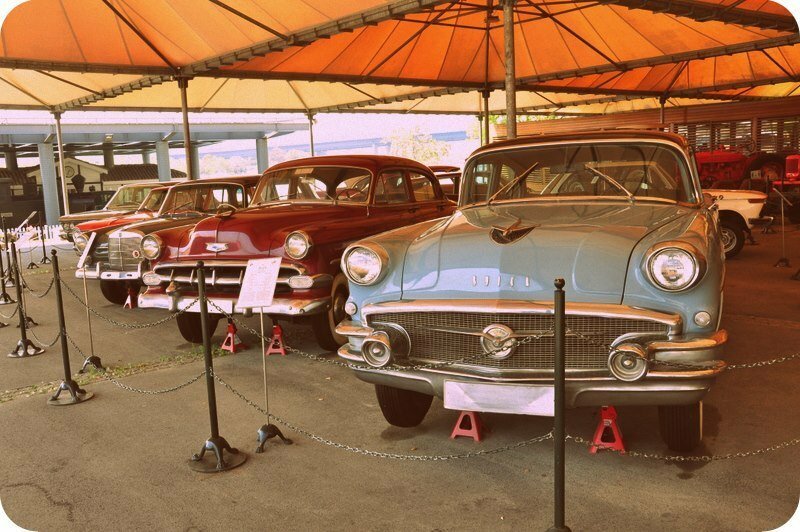 Rahmi Koc Museum aims at collecting objects and documents related to industry and engineering regarding all countries and from past to present in every period, housing them, searching, protecting and exhibiting them. There are such different sections in the museum as Ataturk section, highway and railway section, scientific tools, prototypes and collection of toys where kids learn and have fun at the same time. Another cool feature of the museum is that birthday parties for kids can be thrown at the nostalgic Fenerbahce Ferry that stays alive in the mystic atmosphere of Rahmi Koc Museum. 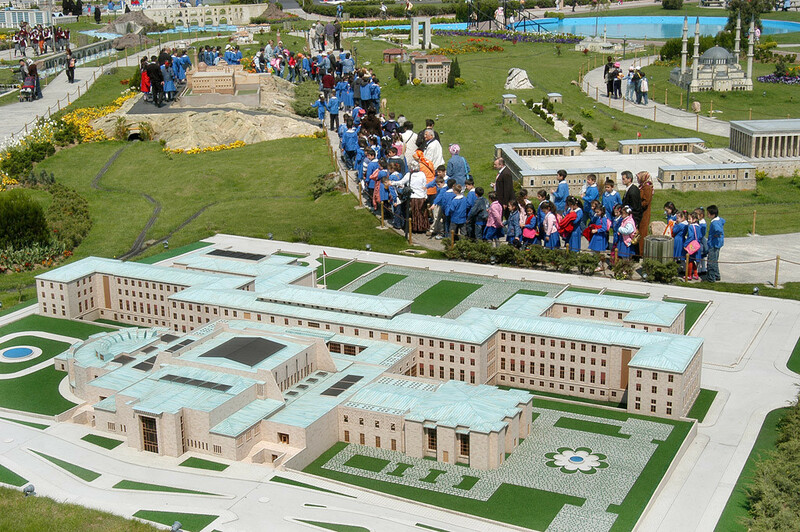 The models of 134 architectural works chosen from Turkish history are exhibited at Miniaturk in 1:25 scale. Thanks to these models, kids are able to see the structures built during the Seljuk, Ottoman and Turkish Republic eras at the same time. Miniaturk has a motto “A small model of a great country.” and in line with its motto, Miniaturk has become a great window to Turkey. Miniaturk is a 15,000 sq. meters open-air museum that occupies a 60,000 sq. meters area and it boasts as one of the world’s largest miniature parks. A car park, a restaurant, a cafe, a gift shop, a playground for kids, a kids train, a fairy tale tree, a chess board and a labyrinth can be also found at Miniaturk. To make sure that visitors have a great time at Miniaturk, every little detail is taken into account. Visitors time travel at Miniaturk while they see structures from hundreds of years back to the present. One of the most impressive of these structures is the model of Halikarnas Mausoleum dating back to 2500 years ago, which is one of the seven wonders of the world. The parts of the mausoleum are displayed at British Museum in England. What makes Istanbul Aquarium is that it is home to colorful but tiny poisonous frogs, the world’s smallest crocodile, Cuvier’s dwarf caiman and many other species. Istanbul Aquarium feels like Amazon with its species and plants that can be come across in a limited number of places in the world. Apart from Amazon rainforest experience, there are 17 themes that follow a specific route from the Black Sea to the Pacific. Cultural, geographical and architectural features are also taken into account here. Additionally, interactive games, movies, and visual graphics are also included in these themes. 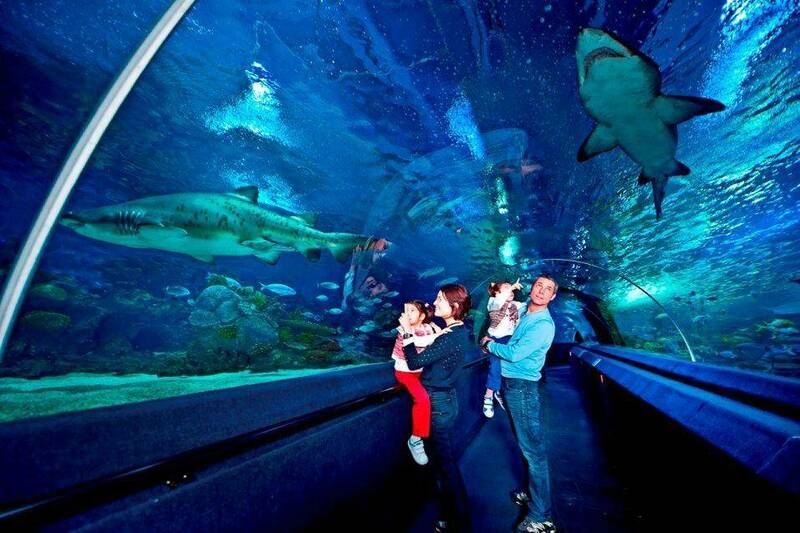 5,000 sea creatures live in the main tank that has the capacity of 4,000 cubic meters water. You can earn a certificate with your kids by a 30-minute dive inside the tank where sharks and thornbacks live and many other creatures live. You can also tour around Istanbul with Flyride Helicopter Tour. Opened in 2014, Forestanbul was designed as a city of adventure where people from any age group can have fun throughout the day. 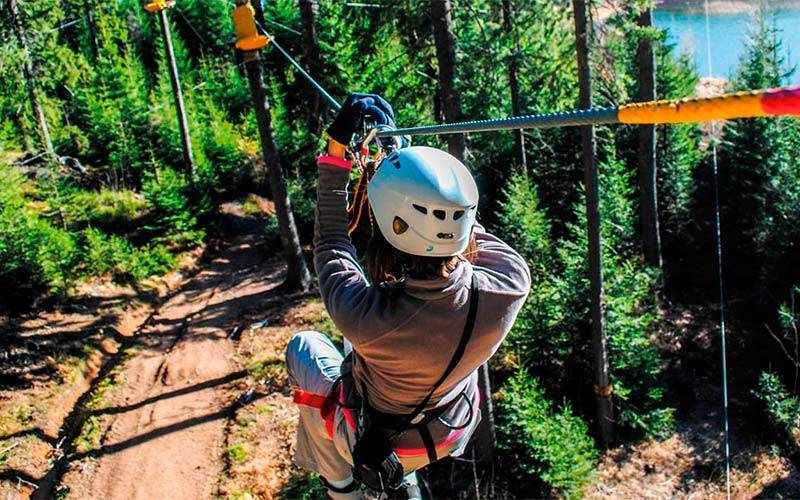 Forestanbul offers fun activities with 12 tracks such as high rope track, climbing wall, and a giant swing where you and your children can experience ultimate fun. Forestanbul serves its visitors every day except for Mondays and you can also dine and rest at its restaurant after a day of fun activities. 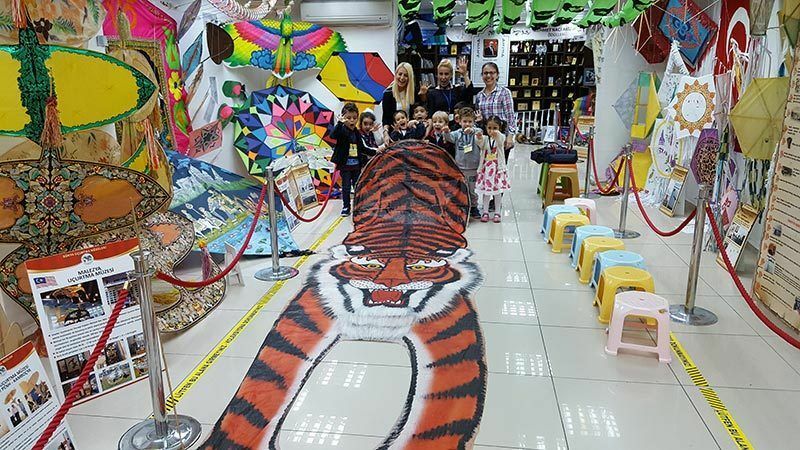 Kite Museum serves under the name “Uskudar Municipality Mehmet Naci Akoz Kite Museum” and it’s the first and only kite museum of Turkey, where over 2500 kites from 33 countries and 6 continents are exhibited. A nice feature of the museum is visitors over 3 years old and adults have the opportunity to make their kites by joining the kite workshop. It’s possible to learn around 50 traditional kite models at the workshop. You can be among one of the cutest creatures of the world, butterflies, and you can visit them in their natural habitat at Istanbul Butterfly Farm. As the first thing, a short movie that lasts 20 minutes is shown about the biological structure of butterflies and information about metamorphoses. Then, a tour at the climate-controlled butterfly greenhouse in accompany with a tour guide. In the greenhouse, visitors witness the life cycle of butterflies. 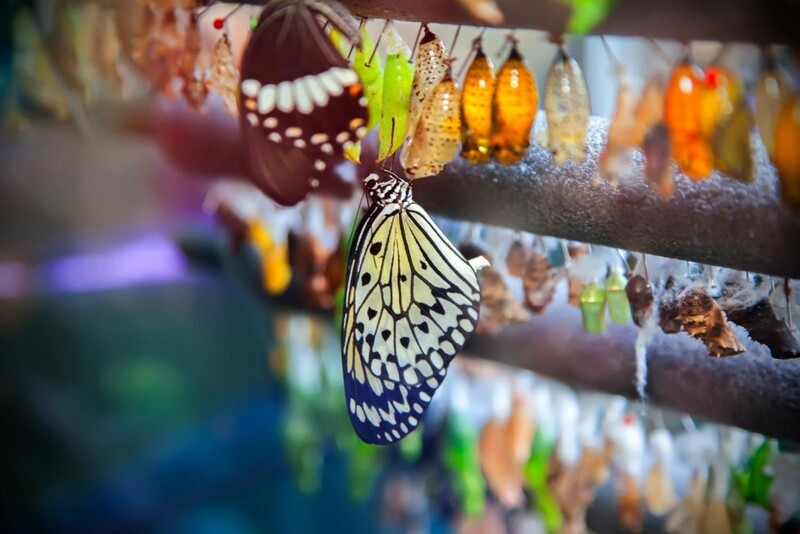 It’s possible to see all the four phases of butterflies, which are egg, larva, pupa, and adult. You can walk among the colorful butterflies, tropical plants and let butterflies land on you. You can spend time with your kids at Butterfly Farm to contribute to their protection, raise your child’s awareness about butterflies and observe how they live in their natural habitat. You can snowboard, ski, bagjump and snowtube at the heart of Istanbul at Snowpark. Whether it’s summer or winter, it’s always snowy at Snowpark. A great reason to choose Snowpark is that proper clothing and equipment are included in the entrance ticket. So, it’s a great bargain for you and your family. You can improve your skiing skills with professional instructors or learn it as a zero beginner. Snowpark is one of the best Istanbul Fun Activities For Kids.